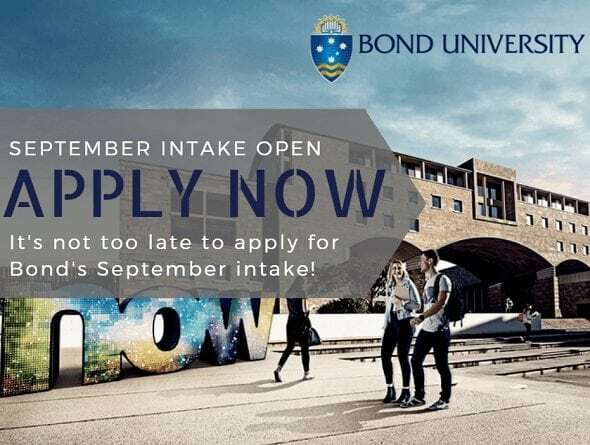 It’s not too late to apply for Bond’s September intake! If you want to take advantage of starting your degree as soon as possible or want to graduate sooner, why not apply for Bond? Bond University is offered most of their programs in September Semester. All international students wishing to study at Bond University must meet the minimum English language and academic entry requirements. *Some courses have higher English language or academic entry requirements, prerequisite subjects, or additional conditions such as portfolios or interviews. Bond University accepts undergraduate applications from students based anywhere in the world. The applicants typically include students who have completed Year 12 in Queensland or elsewhere in Australia, and international students who have completed equivalent secondary school studies in their own countries. If you don’t meet the any of the above listed requirements, you may enrol in EAP programs.